Edward S. Kisscorni, CPA is the owner of a web based, paperless green firm specializing in Michigan State and Local Tax consulting with an emphasis on state tax audits and appeals. Ed Kisscorni operates from an office located in Grandville, Michigan. Ed has extensive experience in Michigan state and local taxation first as an auditor with the Michigan Department of Treasury; in the tax department of an international accounting firm; as a sole practitioner; and leading state and local tax groups of both a large local accounting firm, and a national accounting firm. 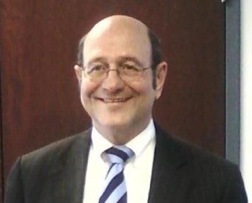 As a testament to his dedication to the Michigan business community, Ed Kisscorni provides Michigan State and Local Tax resources here on the firm's website. Use the navigation links to find comprehensive information and tax documents. Ed Kisscorni is a Michigan CPA, earned a BBA degree from Western Michigan University and a MBA from Grand Valley State University. With 45 years combined experience working with Michigan State and Local Taxes, Ed's expertise in providing in-depth consulting, reviews and litigation support has been an asset to businesses and professionals across Michigan. Backed by a wealth of experience, Ed Kisscorni can provide in depth consulting, including compliance reviews and tax planning. Tax Planning and Consulting - Ed works with Michigan taxpayers assisting them in finding ways to reduce their taxes or to document positions taken on tax returns. Litigation Support - Ed has worked with attorneys and CPAs in defending against accounting malpractice lawsuits. Ed Kisscorni has represented hundreds of taxpayers during a tax audit, and with appeals, at Informal Conference. Over the last forty-five years, Ed has represented taxpayers in approximately 70 different cases at the Michigan Tax Tribunal. Mr. Kisscorni is the foremost authority on Michigan State and Local Taxes. Ed Kisscorni has been actively involved and served in leadership positions on the tax committees of the Grand Rapids Chamber of Commerce and the Michigan State Chamber of Commerce. He served six years on the Board of Directors of the Grand Rapids Chamber of Commerce. In addition, Ed has been involved with local, state and national professional associations. He also served six years on the Board of Directors of the MICPA. Mr. Kisscorni served three different governors in his eighteen years on the Administrative Committee on Public Accountancy and the Michigan State Board of Accountancy, the last four as Chair. He has frequently testified before legislative bodies on matters of taxation. Ed's practice areas include Consultation and Planning in Michigan State and Local Taxation. He specializes in Audits and Appeals of Michigan State and Local Taxes.